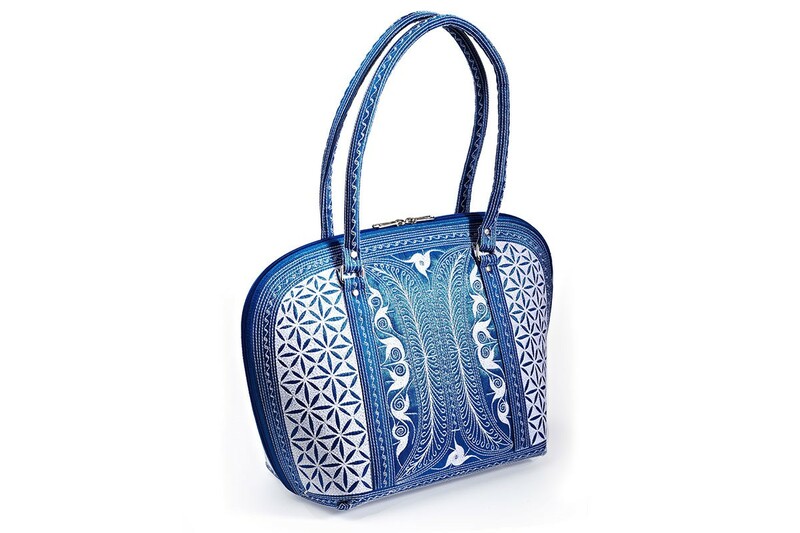 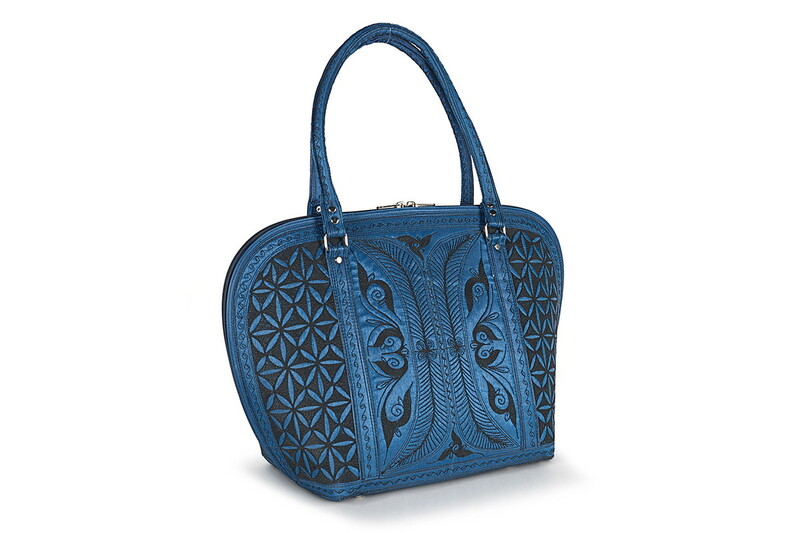 Laga handcrafted vegan free motion embroidered Kuat Travel Bag “strong” is another stunning piece of art by Laga. 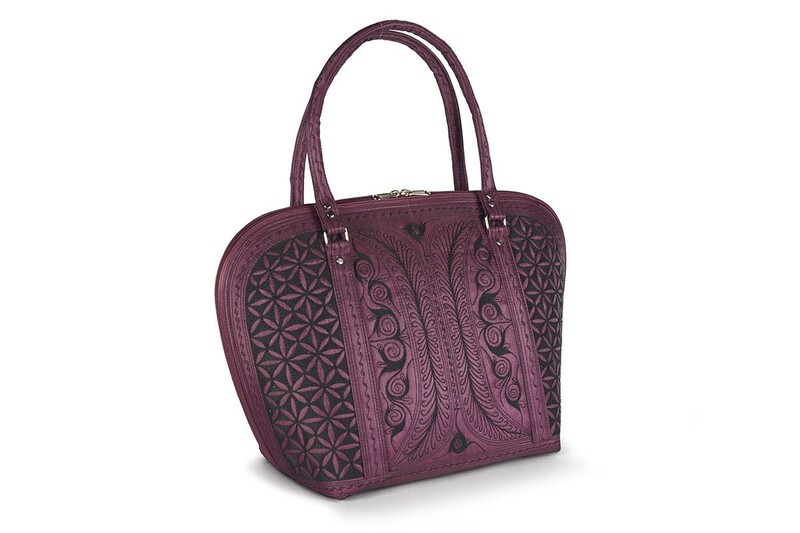 Like our Mulia Large Travel Bag also features interior lining of beautiful synthetic silk-satin. 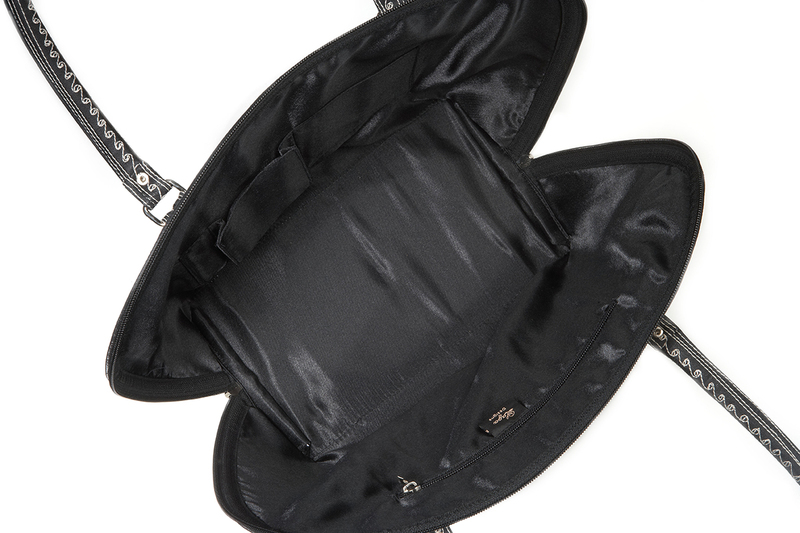 Padded sides will protect your valuables. 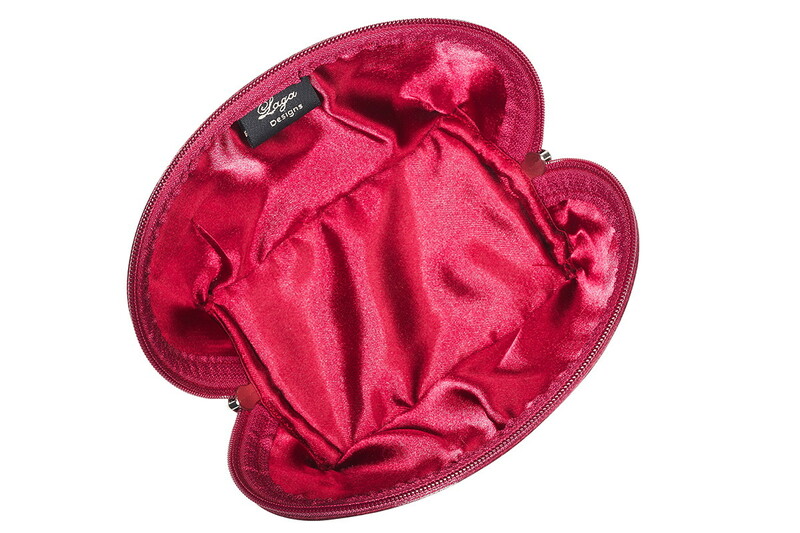 And you will find a zippered pocket on the interior. 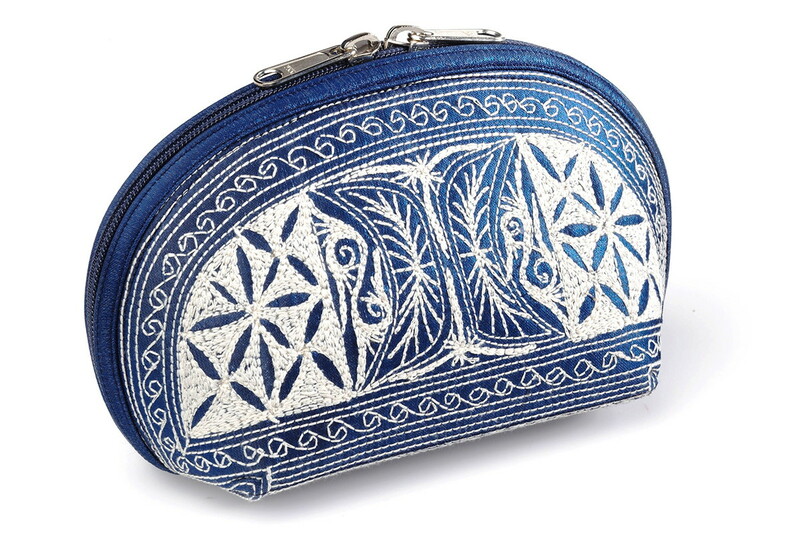 Exquisite hand-guided embroidery continues on the bottom which is protected by the same sturdy metal feet. 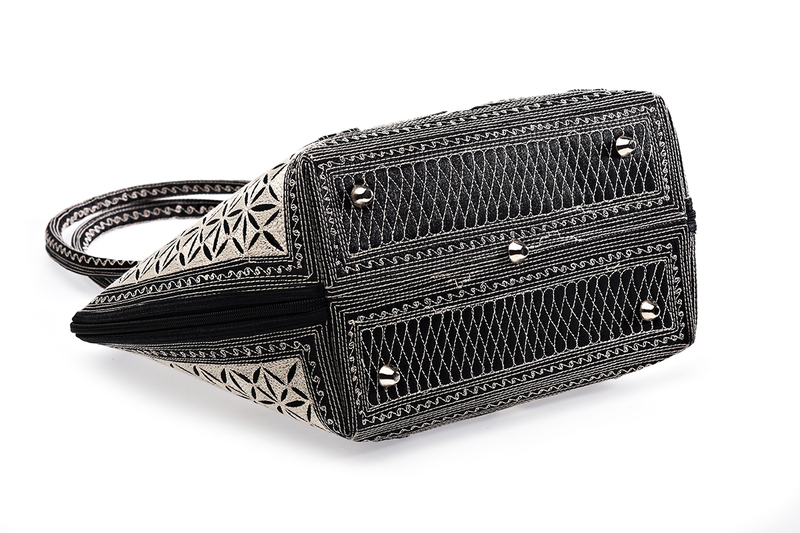 In spite of its size, Kuat, pronounced “KOO-aht,” is extremely light-weight and easy to carry, even filled to capacity. 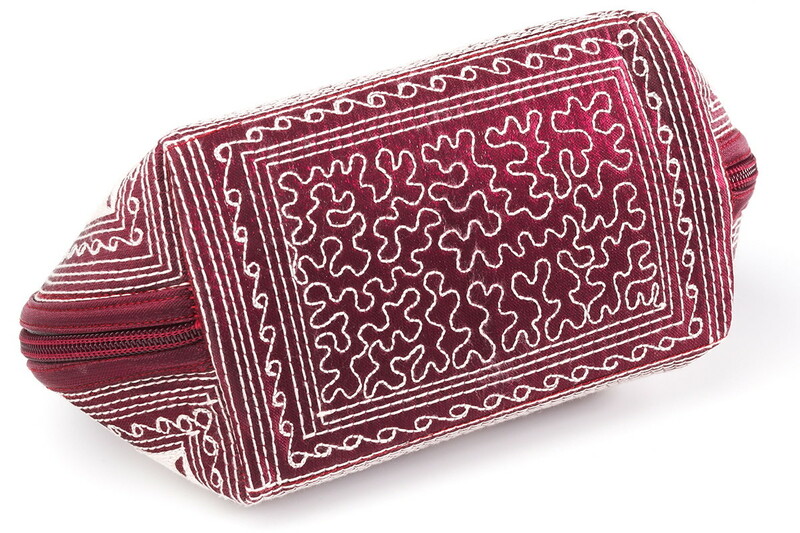 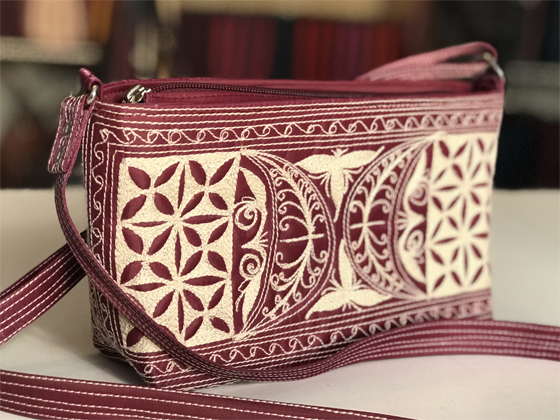 The amazing embroidery on the bottom of this unique handmade bag is again protected by sturdy metal feet. 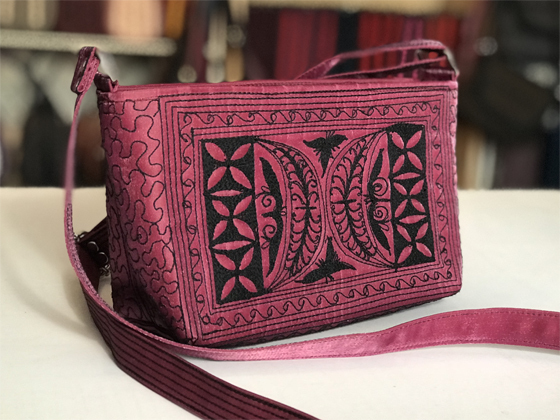 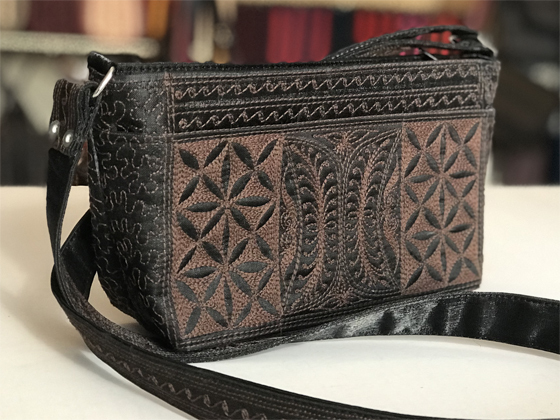 You will be the envy of everyone when you travel with this magnificent bag, so be prepared to share the Laga story and tell them where they too can acquire Kuat!